Presented by Honda Knight came this meeting of like-minded individuals in Southeast Asia with old and new models present. The underlying idea behind Thailand's Honda Fest was to bring together almost every Honda purist as a venue would play host to a day of community. What it resulted was unofficially the largest event in the Association of Southeast Asian Nations with over 800 registered vehicles. Above is a Spoon-themed S2000 with the brand's body kit, a 3DGT wing, custom Mooncraft hardtop, and a quad-pipe N1 exhaust. 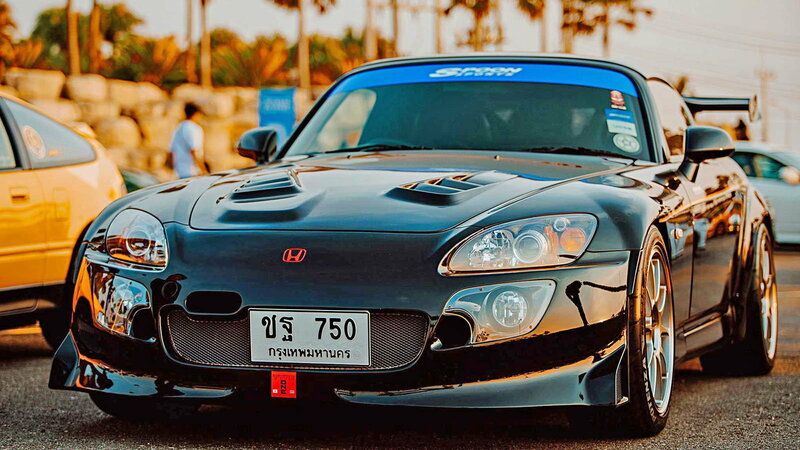 The Nong Nooch Garden's parking lot, in the city of Pattaya, was filled to the brim with Hondas new and old, all motor, boosted, show cars, street, and racing. Many of the cars present have custom fabrication jobs under the hood showing off not only the ingenuity of the enthusiasts here but also the affordability of parts in the region. Determined buyers got their hands on the some Civic Type Rs despite the rumor mill saying only one model goes to each Honda dealership. >>Join the conversation about 2019 Honda Fest in Thailand guide right here in S2Ki.com. With the success of Thailand's Honda Fest, we're sure there will be another meeting next year to give enthusiasts a place to show off the changes they've made in that time. If you're ever at a point where you're not sure where to go with your build just think of what this owner did, drop weight. A carbon fiber front bumper helps to lessen the load on the nose of the roadster. 7th gen Civic with a K20 swap, bright red paint and bronze TE37s fitted with Toyo tires. 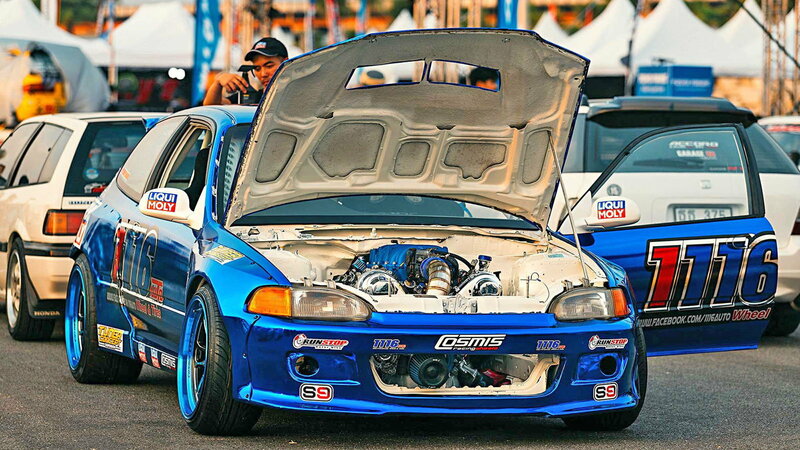 Above is an LS swapped RWD Civic EG that entertained the crowds by doing burnouts. 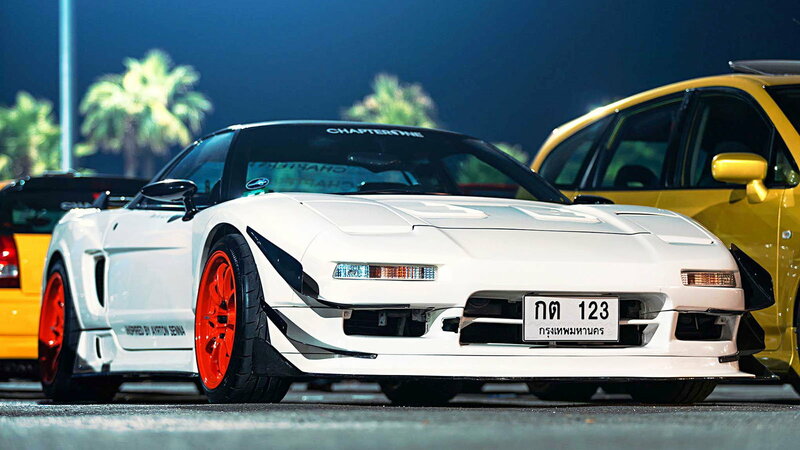 We couldn't show you some of our favorite Hondas from this event without throwing a first gen NSX in there. I wonder how the pricing for these is in Southeast Asia compared to here in the states?